A quick recipe that I made early this week: I was hungry, I was craving pancakes and a matcha. 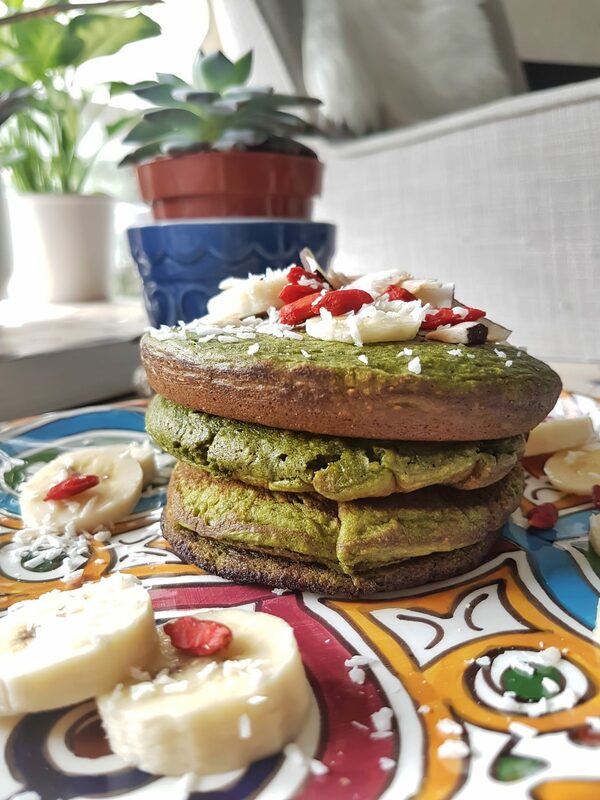 So I made matcha pancakes and here is the recipe that you have been many to ask. I put everything in a bowl and I mix well with the whip. Cook like regular pancakes: on a crepes or regular pan, pour a little 1/4 cup (approx) of your mixture. Cook until small bubbles appear on top of your pancake and turn over to cook on the other side. I served with coconut flakes, bananas and maple syrup (a lot of maple syrup).